Having always known that one day I would read Rebecca, I have avoided absolutely everything and anything spoilerish to do with it. It is a novel that has so seeped into pop culture that it has been hard to do so. Vague knowledge of what I assumed was a Pemberley-type Manderley along with that famous first line and an awareness of some sinister hag named Mrs Danvers was all that broke through my barrier. Jayne Eyre, Wuthering Heights and Persuasion have all been left on the shelf, suffering for my costume-drama movie and television addiction and having seen someone else’s interpretation rather than read straight from the source. 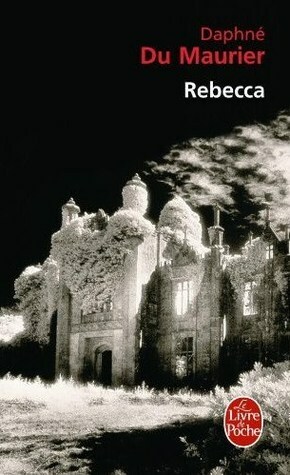 How thankful am I that this self-imposed ban on all and any interpretations of Rebecca meant I had an unsullied read and got to appreciate it in all its gothic, spooky beauty. We would not talk of Manderley. I would not tell my dream. For Manderley was ours no longer. Manderley was no more. From there we go to the beginning. Our unnamed heroine recounts how she first meets Maxim de Winter. She is a companion for a wealthy older woman who treats her as a general dogsbody and is obsessed with seeing and been seen. When the debonair Mr de Winter walks into the hotel they are staying at, he immediately becomes the focus of both of their attention. But it is the younger, more innocent of the pair who catches his eye. When they get the opportunity to spend some time together, it escalates to more and very quickly our young narrator moves from lady’s companion to the wife of wealthy, older, sophisticated Maxim de Winter. After an idyllic honeymoon where the new Mrs de Winter begins to finally overcome her disbelief at being married to such a man, they return to his home, the beautiful and famous Manderley. Home to the overwhelming grandeur of the house, a house that is intertwined with the memory of the first Mrs de Winter, Rebecca. Having died in a tragic and horrific boating accident a year earlier, she is in every room; the carefully selected room adornments, physical mementoes in the form of handwritten notes and invitations, the memories of those in the house . If this is not enough to intimidate our young bride, the formidable housekeeper, Mrs Danvers, is on hand to further drive home the memory of the more beautiful, captivating Rebecca. That Mrs Danvers loved Rebecca is obvious as is her dismay at the new marriage and thus her disapproval of the new mistress of Manderley. But there are secrets here at Manderley, secrets that begin to unravel despite the intentions of those trying to cover them up. And at the centre of it all Rebecca, casting a shadow on everything even from the grave. I can be quite the sceptic when reading older books. I have had to learn to appreciate them for their language and style and also take into account how novel an idea is for it’s time, how it was the precursor to a lot of those that have followed. I do not necessarily need it to be a page turner, for the story to keep me hooked with a lot of twists and turns and shocking developments. The more I read about reading and writing, the more I read about how these things are dismissed as cheap and an easy way to sell something to the masses, the undiscerning. But there is something in the art of storytelling, the tradition of sitting around telling a tale and entertaining those around you that will never get old for me and will always make me appreciate at the very least the effort that goes into it. What this off-track ramble means in this context is that I thoroughly enjoyed the tale that is Rebecca. There are a few well-trod literary paths here; young, docile, insecure young woman with the more urbane older man; stern older woman influencing and manipulating; an ever-present ex-wife. But the tale itself is so interesting, it really was a page turner. What surprised me was how this was not a supernatural tale, but a psychological one. How insecurity and naiveté can be twisted, how love and admiration can become blinding, how everything is not what it seems. The length of it began to nag at my nerves: it must be this turn, I thought, or round that further bend: but as I leant forward in my seat I was for ever disappointed, there was no house, no field, no brand and friendly garden, nothing but the silence and deep woods. The lodge gates were a memory, and the high-road something belonging to another time, another world. Achieving with words what a movie would use low-lights and a tense soundtrack, the reader immediately feels the building tension. The new Mrs de Winter is in awe of her surroundings and true to character, is easily cowed by Mrs Danvers. That she is frustratingly quick to think less of herself and to give in to Mrs Danvers machinations is in keeping with that of a young woman, who previously was thought of nothing more than a servant herself. The 21st century woman in me could not help but want to go in and shake her by the shoulders, but for her to be any more or to react any differently would be completely out of character and would not let events play out in the anxiety-ridden manner it did. I am grateful that I was so severe in my pre-read ban of all things Rebecca related. It did not stop the story from being familiar but it did allow me to be absolutely entertained and to understand what all the hoopla is about. This is a great, old-fashioned tale elevated by the setting of tone and atmosphere by its author. The characters can be harshly judged as one-dimensional, but they are each a dimension of the story as a whole. A great addition to the gothic-romance genre and to this list.